Basha's Connor Phelan (12) prepares to tally a 2nd-quarter basket in the Bears' 54-41 win over Mesa High. (AzPreps365 photo). It's the way a coach would like every game to go -- a victory and one achieved as planned. That's No. 14 Basha High's takeaway from its victory on Thursday night over No. 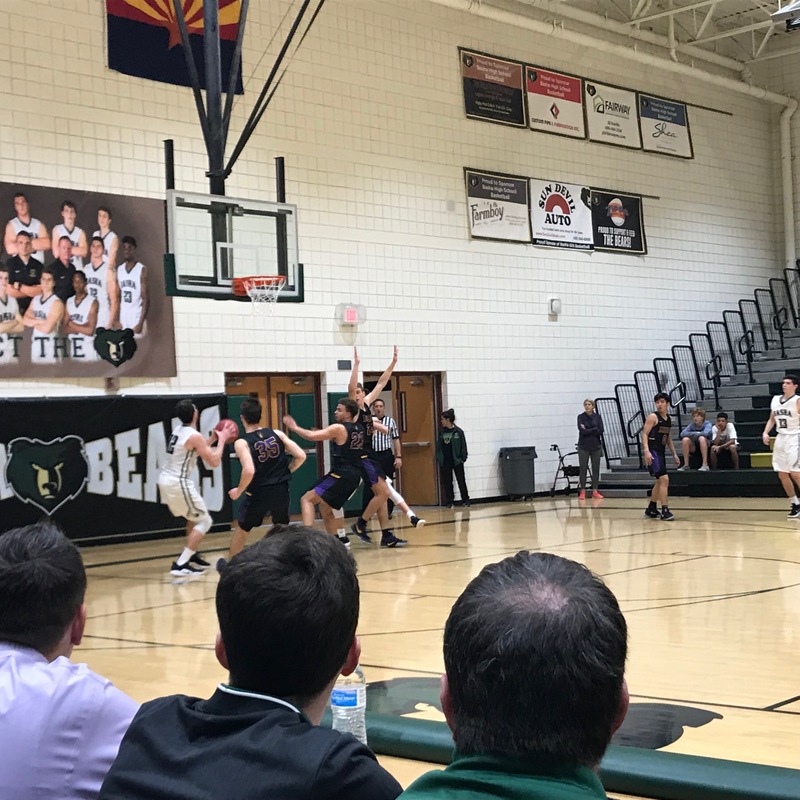 9 Mesa High, 54-41, in a 6A non-region matchup at Basha High. Basha evened its season record at 10-10 and is now above .500 in power-ranking games at 7-6. Mesa, which won a pair of East Valley Region games in the past week in this the first season for Scott Stansberry at the helm, dropped to 13-8, 8-5 prg. Combined with Perry's 49-42 win over Mountain View Thursday, Premier Region teams are 10-0 in games against East Valley Region opponents. That's led by 3-0 marks from Basha and Chandler High. "Our key coming in was limiting what (Mesa guard Zach) Hobbs could do against us," Basha coach Mike Grothaus said. 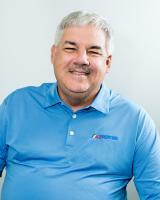 "Jake Moore an outstanding job making him work, and made him work for the shots he did get. Hobbs is one of the best all-around guards in the state." Hobbs finished with 11 points, a half dozen fewer than his average. Hobbs attempted 13 shots and made 3. Only one was a three, which is normally his calling card. Aside from defending Hobbs and the rest of the Jackrabbits well, Basha never trailed. The Bears gradually increased their lead quarter to quarter. They led 10-6 after on quarter, 22-15 at half and 35-26 through three quarters. The scoring was balanced led by sophomore guard Trenton McLaughlin's 14 points, 11 from senior Tyler Pugh and 10 from Connor Phelan. McLaughlin tallied nine of his points in the second half, Pugh nine of his 11 in the first half and CJ Noder all seven of his in the fourth period that pushed and kept the Bears' advantage double digits for the entirety of the final period. Grothaus is glad to have solid seniors like Pugh and Phelan and looking forward to McLaughlin present and future. "I believe Trent McLaughlin is a star in the making," Grothaus said. "Pugh is the steady senior every team needs. And Connor has been great lately, really helped us in the win over Hamilton." Basha is idle until Jan. 22 when it visits Perry in a Premier Region contest. Mesa plays a rare Saturday game at home vs. East Valley Region foe and improving Red Mountain.